This year’s edition of Sleep for Peace is coming up soon, and we want to tell you all about it! Peace means something different to everybody, that’s why we sometimes need to Agree to Disagree. What does peace mean to you? 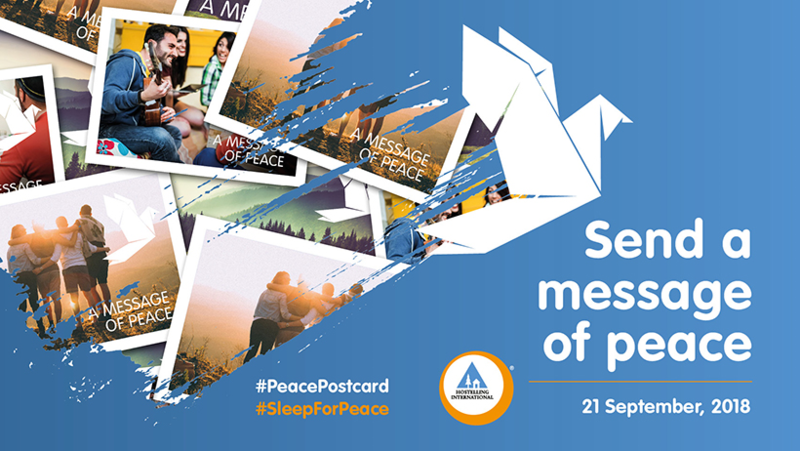 Sleep for Peace is all about spreading the concept of peace around the world through activities in our network of global hostels. Will you be staying in our hostels between 21-27 September? Find your own sense of peace in our hostels this year. Have you ever sent a postcard? 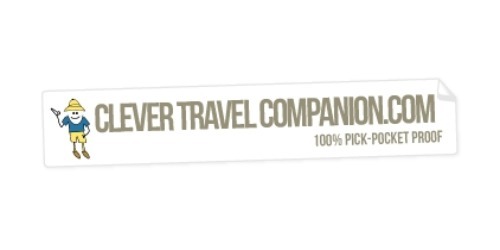 Travelling is one of those times you may want to send a personal and sentimental gift to your friends and family back home. It’s easy to send a quick message or email, but the act of physically sending something handwritten has always been a more thoughtful and personal way of connecting with people. 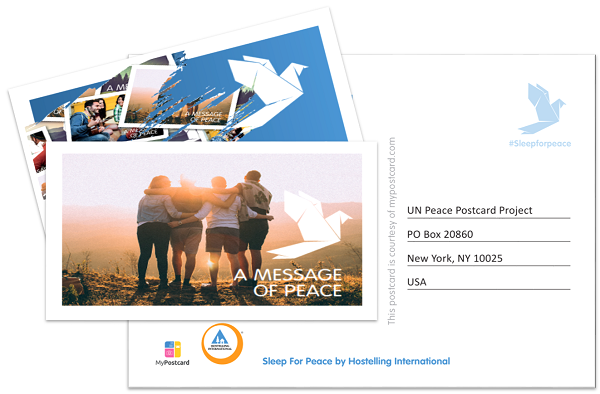 This year, we have partnered with MyPostcard to offer HI members a 25% discount across their products, and to provide us with a digital Sleep for Peace postcard so that you (yes, you!) can share your thoughts with the United Nations about how peace relates to travel and the impact it can have. Click below to make an impact and send your message of peace. Watch out for someone special in each of these hostels to make your #PeacePostcardParty even better! Amsterdam, Stayokay Amsterdam Oost (Zeeburg). The Hague, Stayokay Den Haag (The Hague). This year, we don’t just want you to Sleep For Peace, we also want you to Speak Your Peace. Well, we want you to have conversations about topics you may not all agree on. What is peace without learning to accept other people’s opinions and considering their points of view? That is exactly why we need to disagree sometimes – it’s part of what makes us human! As we’ve said, peace is sometimes a difficult concept to define, so we want you to help us! Take part in our Global Peace Survey, by simply answering a few short questions on what peace means to you, and be automatically entered for a chance to become one of five lucky winners! 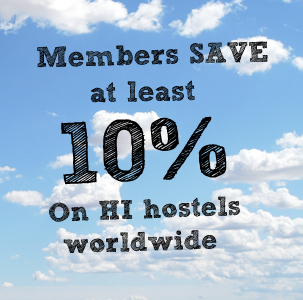 We will continue to update this page so keep checking for participating hostels near you.